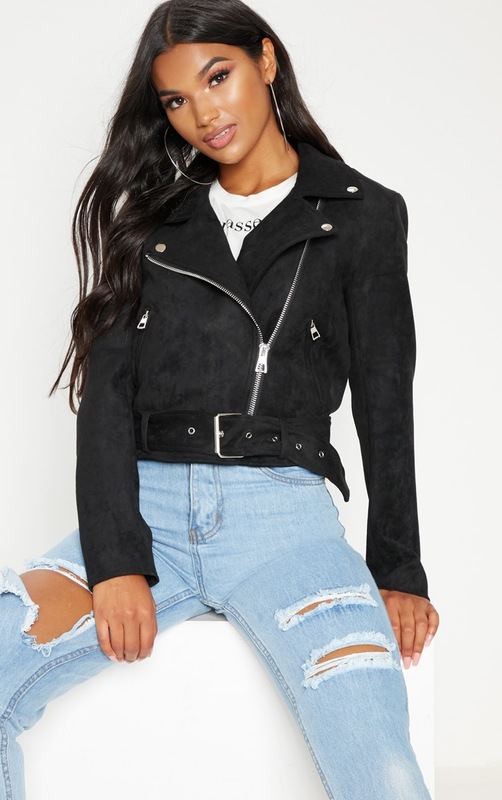 Level up your look this season with this biker jacket. 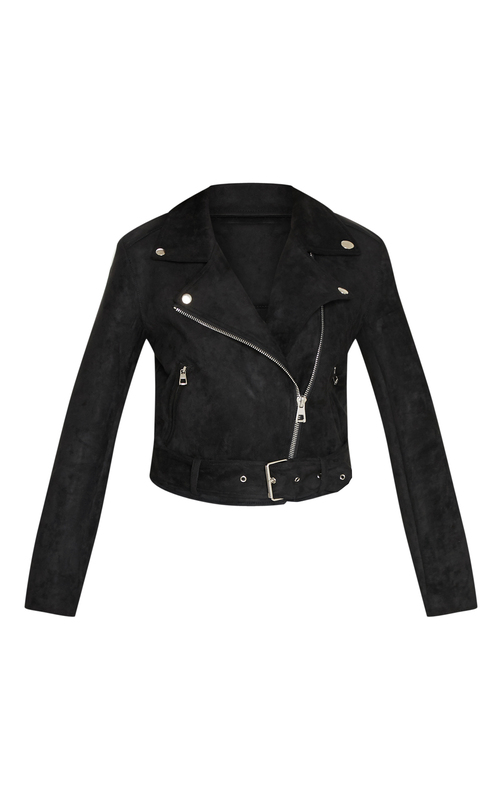 Featuring a black faux suede fabric, long sleeves, a zip fastening front and a buckle waist belt. Team it with some light wash denim jeans, statement boots and a white tee.